Bottle openers have reached a place in our lives where they are no longer just tools that allow, we think, to enjoy our favorite beverage, but real home decorations. If placed in the right corner, they can transform a room, and show your guests just how much style and quirkiness you have. Moreover, they are inexpensive most of the time, which means you can buy more than one product, thus making them a great option if you want to start a collection, or if you want to make awesome gifts under 100 dollars. This model is a gift for any collector, or for someone who enjoys a cold beer and never seems to have a bottle opener nearby. It comes in a unique illustrated package, and it is made from durable cast metal, perfect for repeated use. It is average in size and could even be mounted on a wall, or attached to your keychain, meaning you can carry it anywhere with you, especially when you go for a barbecue or a picnic with your friends. Since it resembles a soldier, it could be the ideal gift for someone who works in the Army or a related field. If you want a unique model, this could be your safest bet. It resembles a pirate, and the design shows you have humor, and that you know how to have a good time. It can open any bottle that comes with a cap, or you can use one of the legs of the pirate as a corkscrew. Its long life is guaranteed by the manufacturing process since the item is made from stainless steel with rubber accents. It is not chunky, and it can fit any pocket with ease. Because it is so funny looking, this can make an excellent gift for an adult. A bottle opener with integrated technology is not something you see every day. And this is what makes this product so unique. It includes the needed batteries, and it is entirely automatic, perfect for those who want the future available in their kitchen. This could be an excellent and handy gift for any wine lover, or it can be just as suitable as a housewarming present. It opens any bottle in less than seven seconds, and with only one charge, you can open up to eighty bottles, meaning your arm won’t get tired if you throw a wine party with many guests. If you’re not sure what to buy for your loved one as a gift this year, this all-in-one tool can be a reliable alternative, especially if the person you’re buying this for enjoys wine. It comes with a corkscrew, a foil cutter, and a bottle opener. Sommeliers and bartenders use the item all over the world, so you know it has their stamp of approval. It can open many bottles for many years because it is created from premium materials that won’t bend and break even if you have a more intensive task for it. A bicycle bottle opener is a product that will make a bike lover very happy, especially if he or she likes a cold beer after an intensive workout. It will show you know that person very well, and since it has a premium body, it will reveal that you have great taste and that you know how to choose a good product from a sea of cheap knockoffs. It is highly polished and feels firm whenever you are using it. The pack also includes a cloth tag, so you can safely store it when you don’t need it, to prevent scratches and other possible accidents. Batman has been a favorite among superhero lovers for many years, and this item will excite diehard fans because they can attach the bottle opener to their keychains, so they can carry a piece of Batman wherever they’re going. The model is the perfect tool to help you unwind after work. It features a sleek, compact design that is both efficient and sturdy. Besides the key ring and the bottle opener, it also includes a crosshead screwdriver and a flat head one, both perfect if you have small maintenance errands to run around the house. All compacted in a small and nifty body that will please you instantly. This futuristic product is an eye-catcher. It is especially perfect for those who are tired of using traditional bottle openers that sometimes are inefficient and hard to use. The model is intuitive, meaning you learn to use it from the first try, so there’s no need for a user’s manual. It opens any bottle instantly, so you can invest the saved time into enjoying your beverage of choice. It uses batteries, but since it rocks a low consumption system, you won’t have to replace them often. If you want a wine opener that looks good, and that will impress any gift receiver, then look no further. When stripping down this product, two words can be found at its core: fast and reliable. The model has a simple design, with no useless features, and all you have to do to use it is twist it in the right direction, without it requiring a lot of muscle power. It is made of high-grade PP and rubber, meaning it is sturdy and non-toxic. Moreover, besides using it to open wine bottles, it can also be used to release tightly sealed jars, without breaking them into pieces. Since it has a premium construction, this item can be a perfect housewarming gift. Star Wars fans, rejoice! Now you can own a product that will make you feel close to the universe of the franchise at all times. It is a cool-looking model that will make you feel proud to take it out of your pocket and to show it off to your friends. It is small and compact, so you can carry it with you when you’re traveling, and its high quality will make the opener feel sturdy even when you open stubborn caps. The metal is rust-free, and the model has a lot of detail, which is surprising for such a compact item. Unique gifts are rare on the market, that’s why you should take advantage of this product. It resembles a cross, and it can be a fun gift and a spin on the saying “drinking religiously”. It opens any bottle fast; you can mount it on your wall, or, if you want, you can even wear the model attached to your keychain. Everyone will notice the oversized cross, and if offered as a gift, it is bound to make an impact on the receiver. The item is protected against rust and will be your loyal and trusty opener for many years to come if you decide to buy this for yourself. Anyone who loves to have an alcoholic drink from time to time knows that you cannot go anywhere without cool bottle openers because you never know when you are going to need one. From attending barbecues, having a beer with friends at a restaurant, tailgate parties or a night out with your friends, the coolest bottle openers are a critical accessory to have on you if you wish to keep on drinking your favorite beverages. When you are sitting with your friends, having a good time, sharing memories and making them laugh, you do not want to encounter the inconvenience of having to get up and grab an opener from someone else. Not only should you have one on you all the time but this item should also become the staple of the conversation. However, finding the best item in this range can be a waste of time when you are not ready to do a thorough research and would rather spend that time drinking with your friends. Therefore, we have created a comprehensive guide to help you be on your way to having the best utensil around. This reliable guide is the result of a thorough research that we have made by reading all the reliable best bottle openers reviews and by checking out the latest products for sale. Everyone loves to receive a useful gift, especially one that will let them have fun. Therefore, you can also consider this item when the time comes for you to surprise a friend of yours. Bottle openers come in different shapes and sizes. Some even come in novelty shapes and can brighten your mood before you open a cold beer. Trying to get one of these remarkable utensils can be a time-consuming task. If you are interested in getting one as a gift, we can also help you decide upon the best one to purchase. The key aspects when choosing the perfect item in this range of options are the functionality, the design and the practicality of your new opening utensil. When you are trying to decipher all the important factors that make a simple product the right one to choose, it can take too much of your precious time. Instead of reading all the reviews, now you can go straight ahead and follow the first step we recommend. Functionality is one of the most important aspects to consider when purchasing such an item for personal use or as a gift. When these items do not work well, it takes you a lot of time to open your beer or wine bottle. Make sure to look for an opening utensil that is going to be simple and easy to use. If you get one that is too large and clunky, it will kill the mood when opening a drink as it might distract you from hearing the best jokes. On the other hand, a model that is plain and thin can be easily misplaced and searching for it is not part of your plan of having fun with your friends. You or the person you are offering this new item to should never look bored when opening a drink. Another important aspect to think about when it comes to purchasing such items is their functionality. 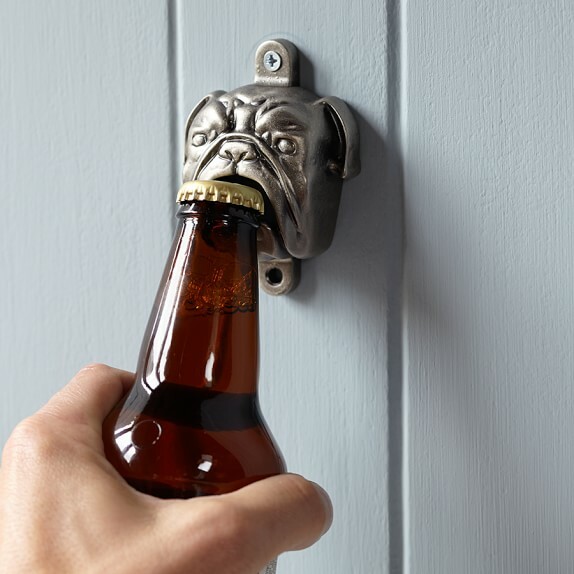 Your new bottle opener should be easy to carry around. One that can easily slide onto a keychain is one of the best drinking gifts that you could ever offer your friends. Getting a bottle opener as a gift should make the person using it feel awesome every time they open their favorite beverage. 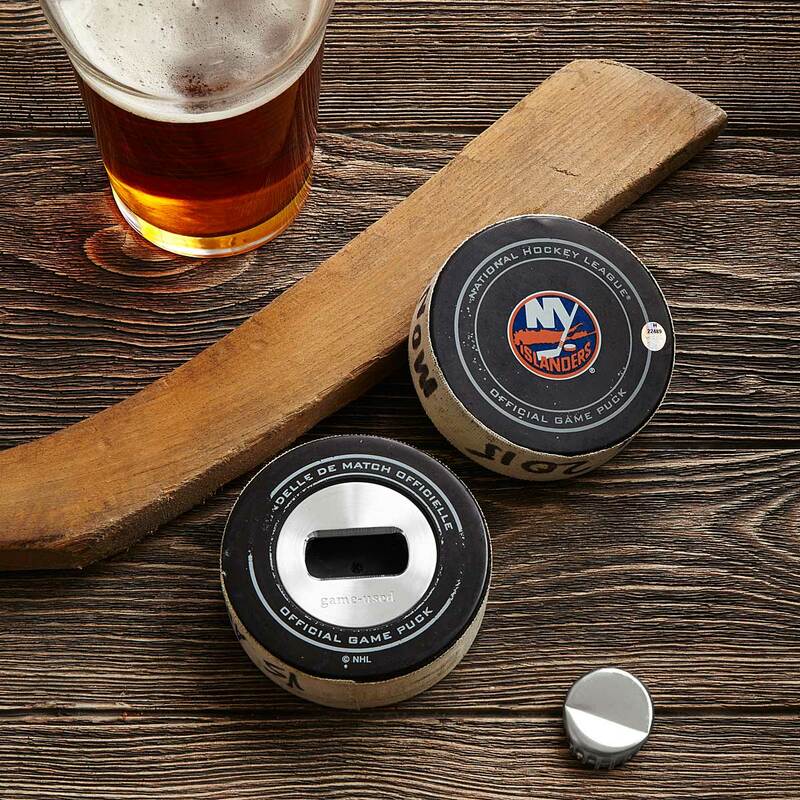 They should be able to grab a beer with a smile, look at their new secret utensil and laugh while opening their drink. A good tip is to get one that features their favorite color so that when your friend receives it as a gift, he/she might already like it. Or, if you come across one that features a hilarious design, that item will certainly make your friend laugh. Make sure you do not choose something that has the potential of harming the recipient or which might not be appropriate for the person you are looking to surprise in a positive way. Remember to stick to things that you know that person likes such as a plain color or a funny design that makes them remember certain funny moments from your past. They will love your gift more than any other if it truly makes them smile as soon as they see it. Another great thing about these items is that they are all very different. When you are traveling, you can also find a bottle opener that might be a representation of that state or the part of the country that you have chosen as your holiday location. If the person you want to give this item to goes with you on that trip, it makes the gift ten times better than before. Why? Because it will remind your friend of those nice moments you have spent together in that location. Furthermore, you can also go for special items that have been signed by celebrities, sold at events or which are personalized for your special friend. Whichever you choose, make sure that the person you want to give it to will love it. You cannot go wrong with customizing a bottle opener either. If you are able to get one with their name or a special message printed on it, this will make that gift more memorable than it already was. Never underestimate the power of customized gifts! When offering someone a present, you want to make it the best one they have received for that special celebration in their life. For this purpose, make sure you choose a unique item that comes in a nice package that should also be personalized. Nothing shows your appreciation for someone more than a gift that was well-chosen and nicely presented.